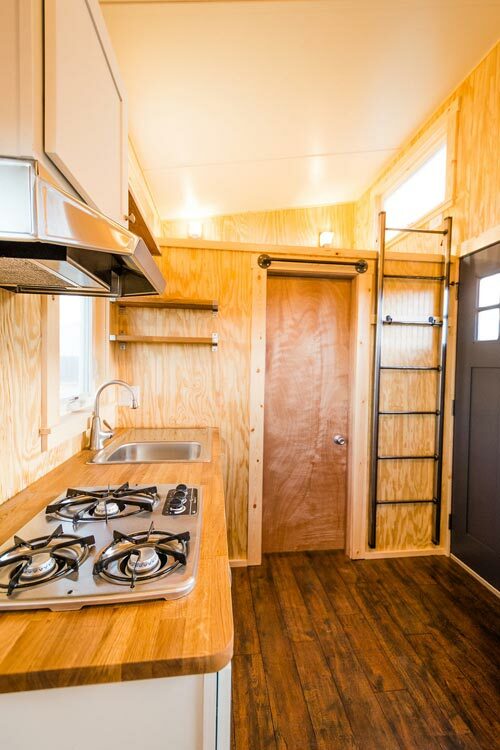 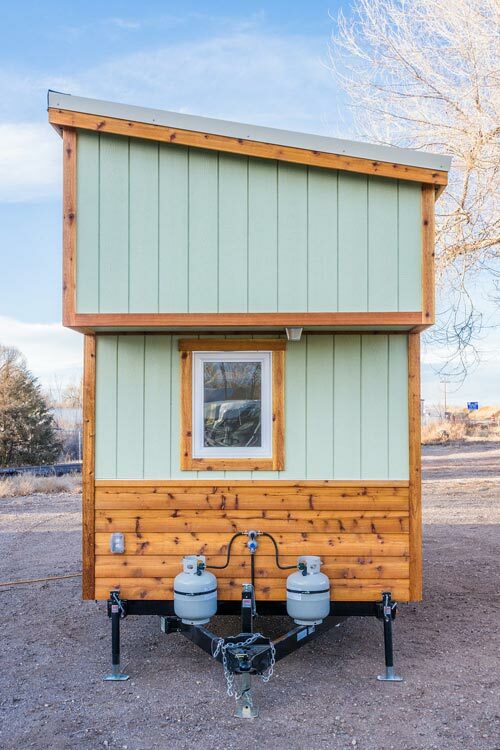 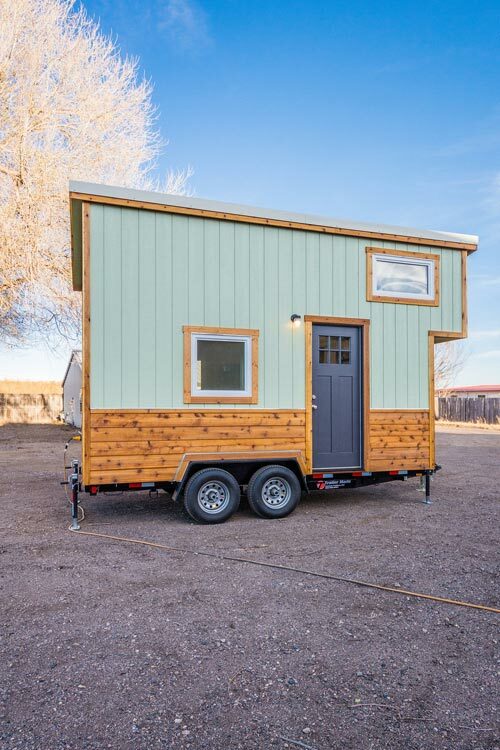 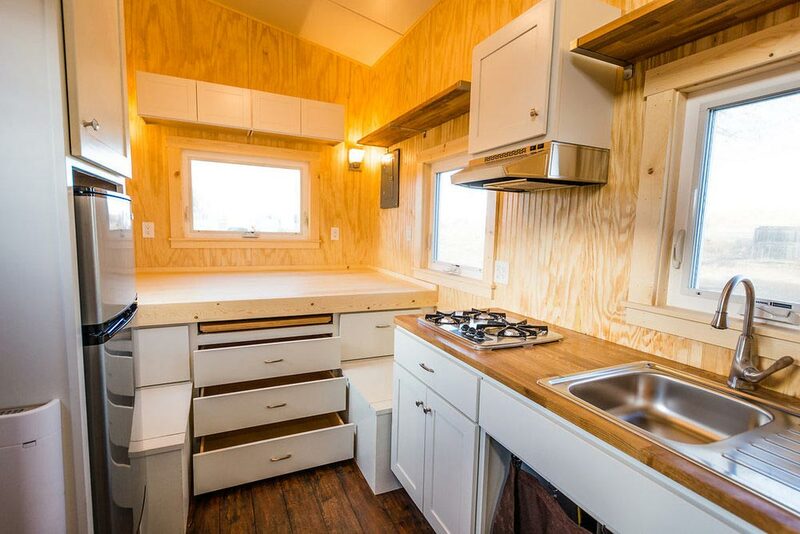 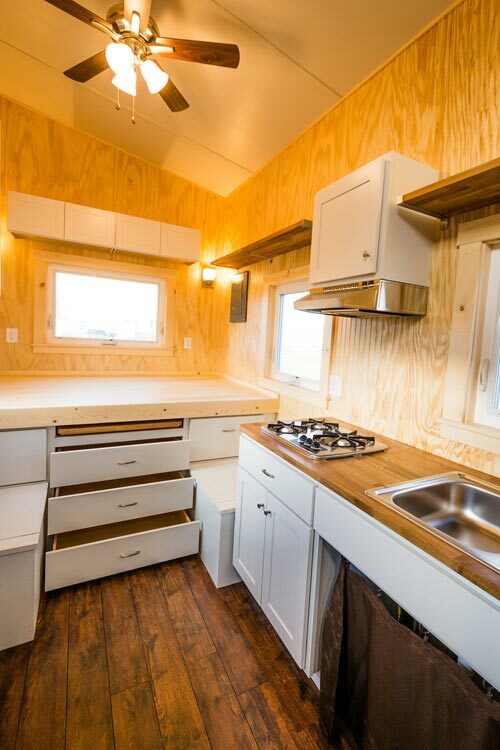 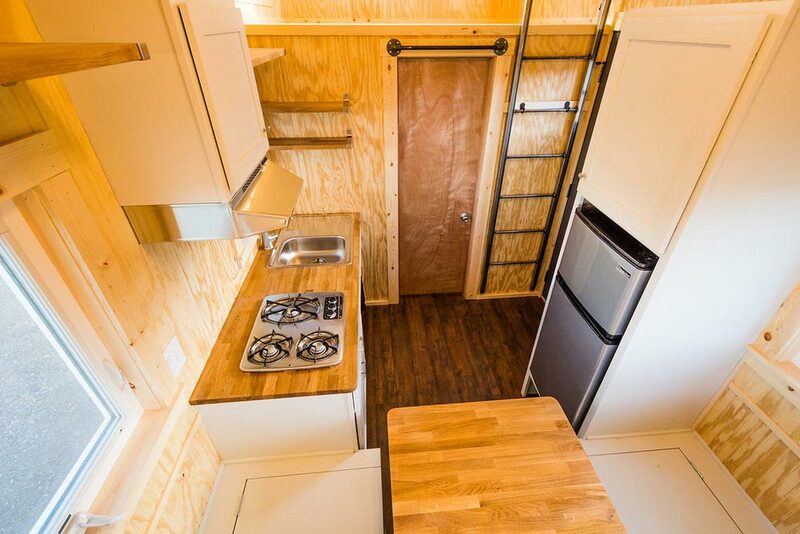 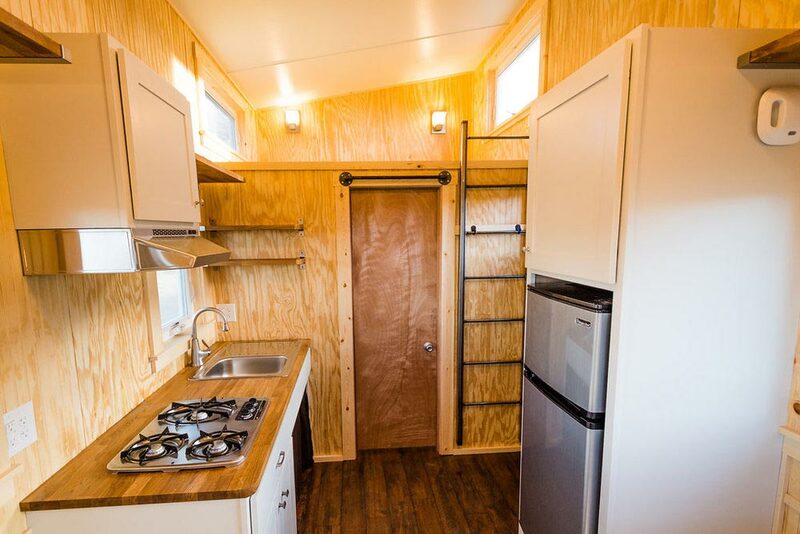 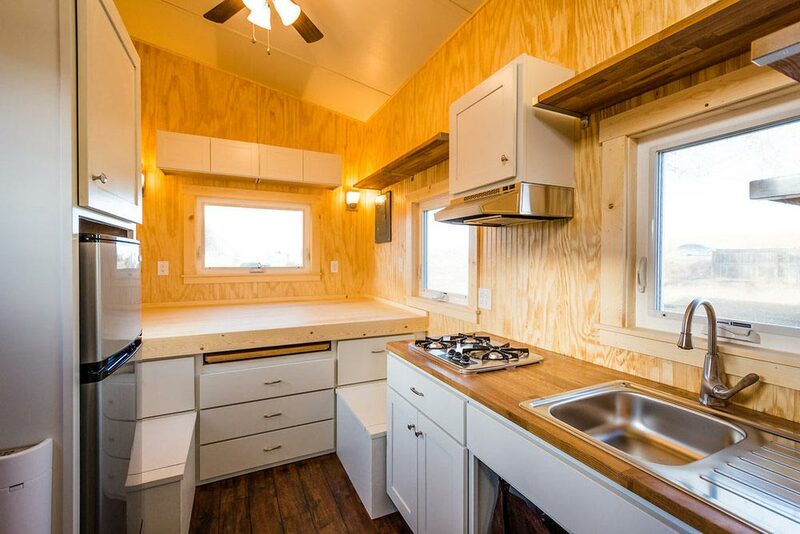 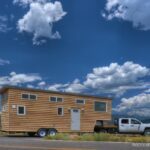 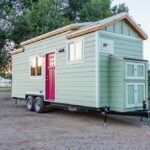 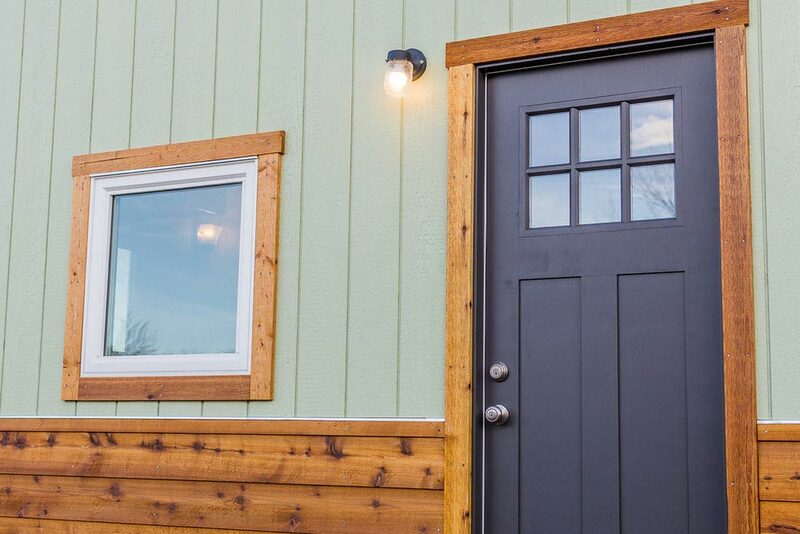 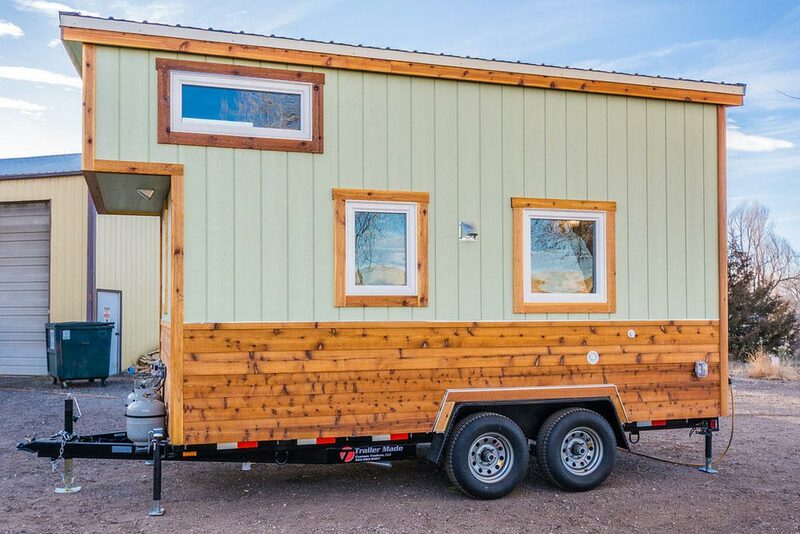 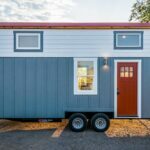 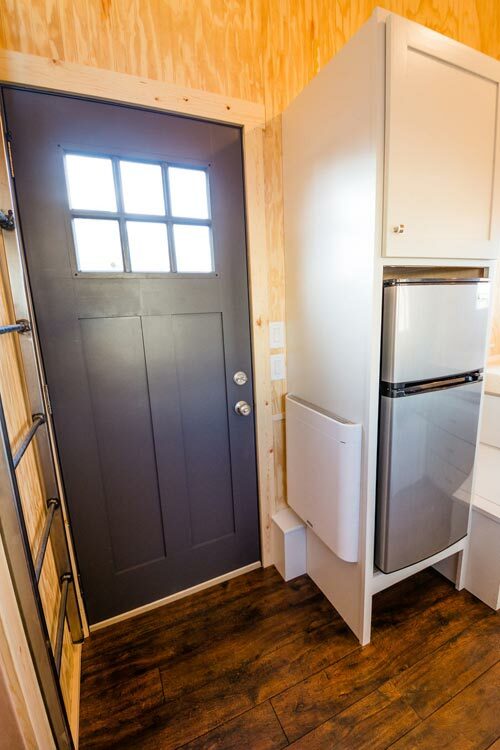 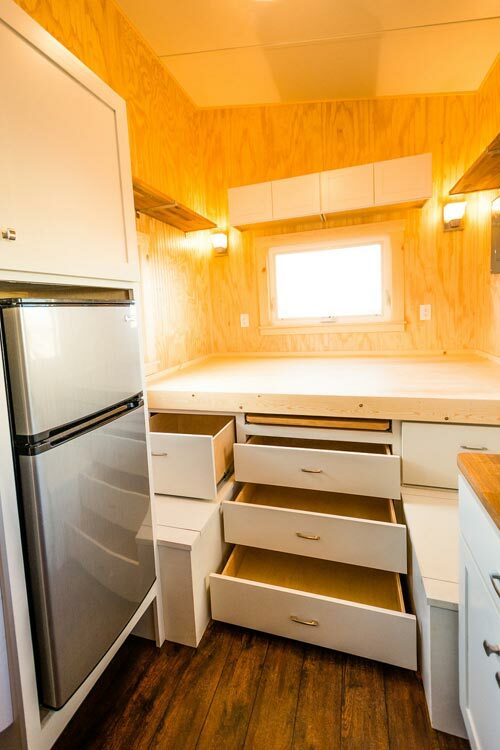 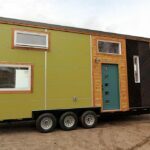 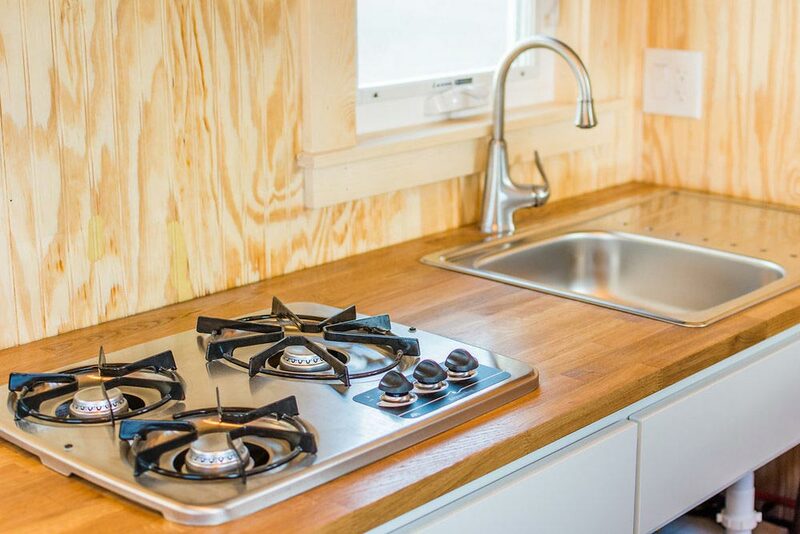 A 16′ custom tiny house built by Fort Collins-based MitchCraft Tiny Homes. 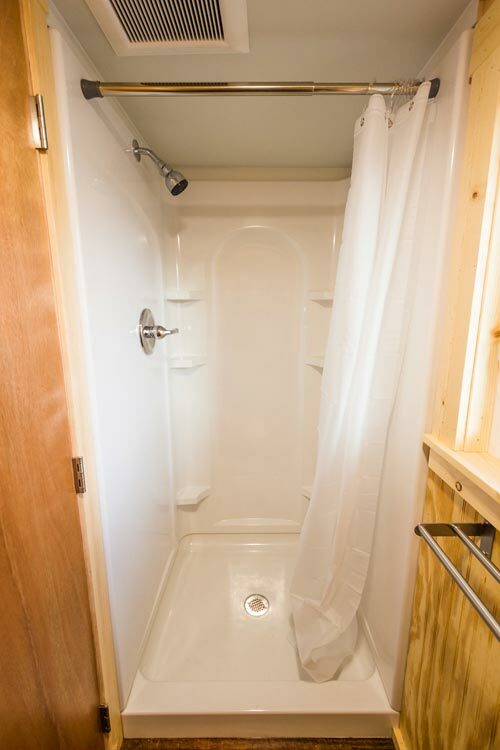 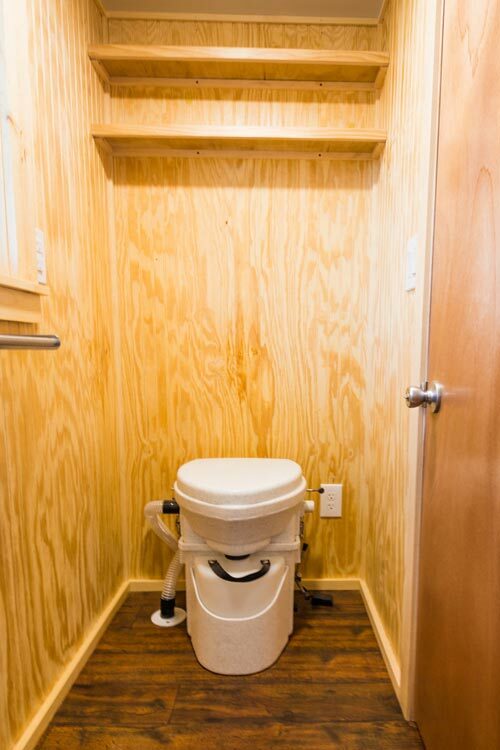 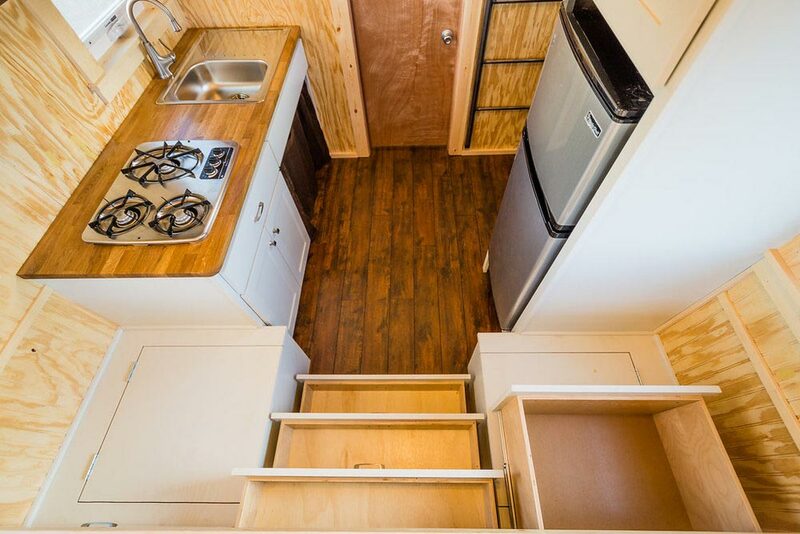 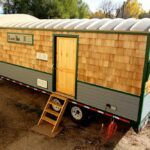 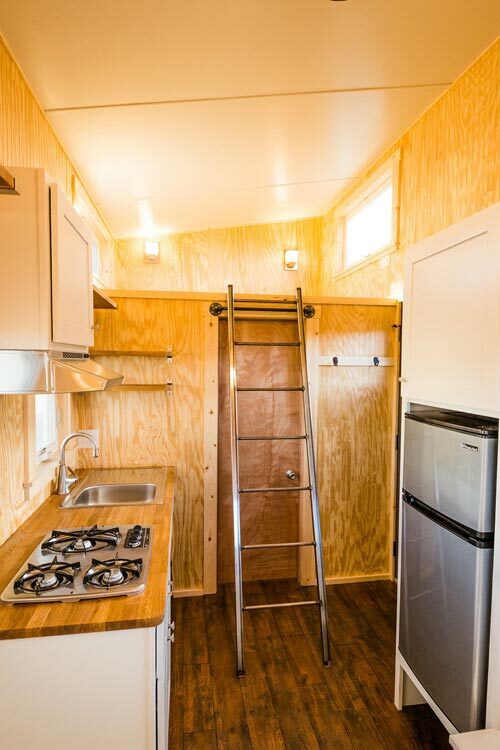 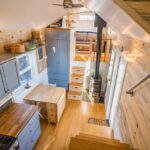 The tiny house features a main level sleeping platform and an additional sleeping loft with ladder access. 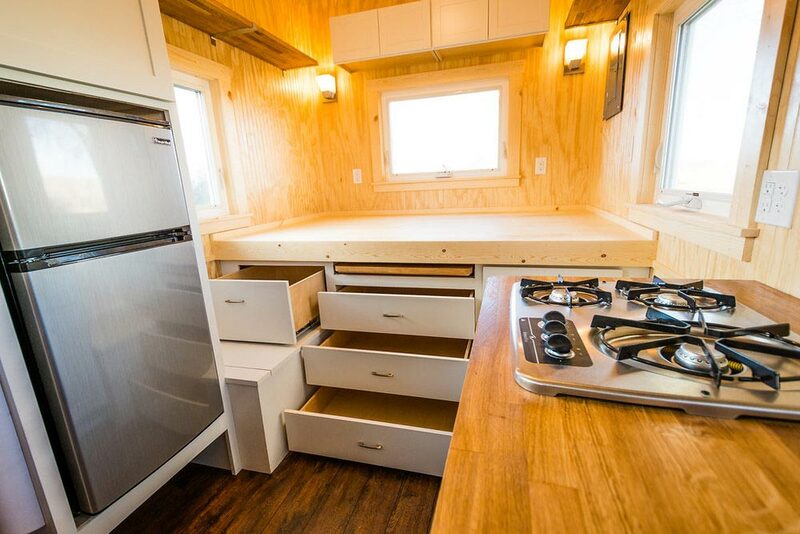 The bed platform includes a two person dining table and plenty of drawer storage. 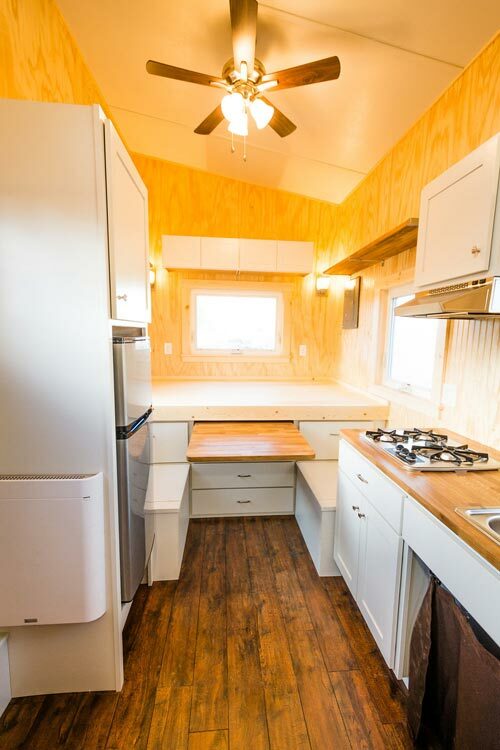 Custom cabinetry, oak butcher block counter tops, and pine bead board throughout. 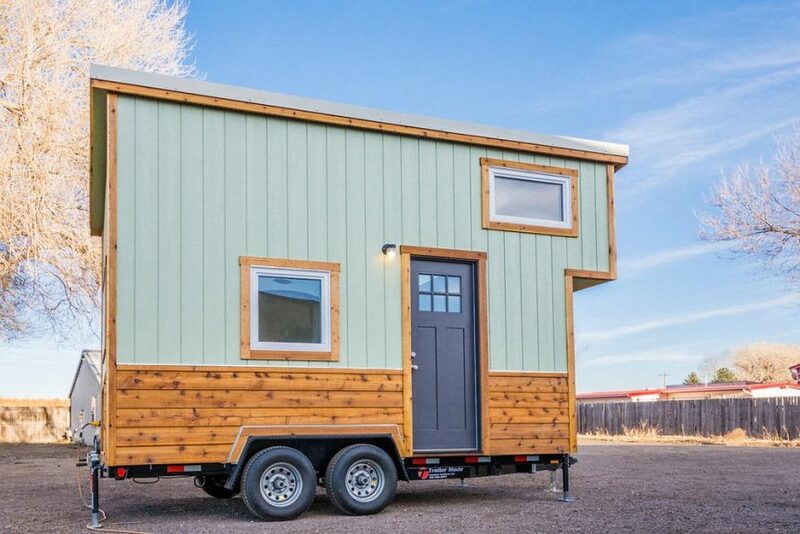 This model was sold for $39,000.